Last week, Wilson’s Billboard No. 1 song “Overflow” which features the dynamic group, Roderick Giles & Grace, earned him his first Stellar Award nominations in two decades, one for Traditional Male Vocalist of the Year and another for Best Duo or Group of the Year. 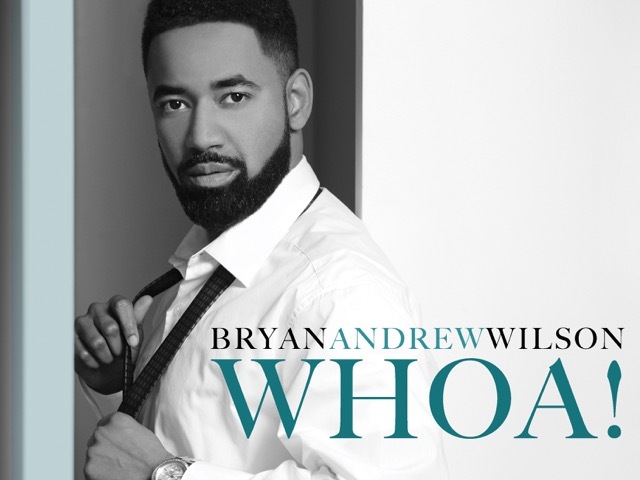 And if Wilson doesn’t win a Stellar Award this year, there’s always the chance that his new urban chant, “Whoa!,” which is making its way onto both R&B and gospel radio playlists across the country, can earn one next year. “The greatest thing I’ve learned in this business is perseverance,” Wilson says. “Every song is a new brick in the catalogue you’re building. So, I just keep making songs with the hope that the next one, will be the one to breakthrough and make all the blood sweat and tears worthwhile.” The Stellar Awards take place March 25th at The Orleans Arena in Las Vegas and air on the TV One cable channel on April 9th at 7 PM, 9 PM and 11 PM ET. This entry was posted in Editorials, Gospel and tagged BRYAN ANDREW WILSON by Kris Patrick. Bookmark the permalink.